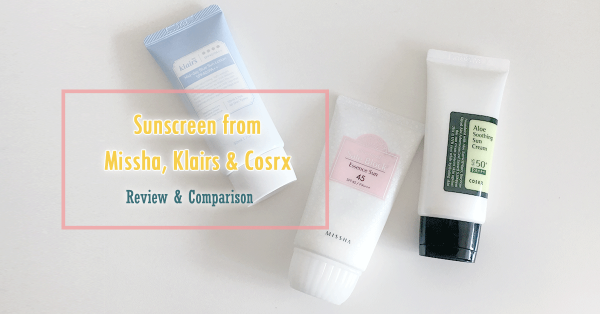 Last week, I reviewed three cult favourite sunscreens from Cosrx, Klairs and Missha. I realised there are a lot of “sunscreen-specific” terms that are not easily understood in that post. Therefore, this week I’d like to compile a post of knowledge database to explain those terms and to answer some questions you may have about sunscreen. Everything in this post comes from researching online, if you think there are errors in this, please kindly leave me a note for correction. We shall start with the basis of sunlight and what we are protecting against. The two major risk factors for skin cancers are UVA and UVB rays. UVA rays have a longer wavelength and lower energy. It penetrates deeper into the skin layer and damages skin’s DNA indirectly through its generation of free radicals. It’s the major cause of skin tanning and photoaging. UVB rays have a shorter wavelength and thus inhabits stronger energy. It damages the skin on its surface, causes sunburn and direct DNA damage that leads to skin cancer. In the past, UVB was the only concern of skin cancer as it leads to direct DNA damage and most sunscreens were developed to protect against UVB only. SPF in sunscreens is a measure of protection against UVB rays. SPF stands for Sun Protection Factor. It is a measure of protection against sunburn, which is directly associated with UVB rays. Currently, in EU, US and Australia, the highest allowed labelling for SPF is 50. Anything above it is labelled as SPF 50+. Generally, SPF 30 is sufficient for daily indoor use and SPF 50 for outdoor uses. It is important to note that sunscreen needs to be applied in adequate amounts for it to provide the promised protection. Average usage should be about 2ml for the entire face. 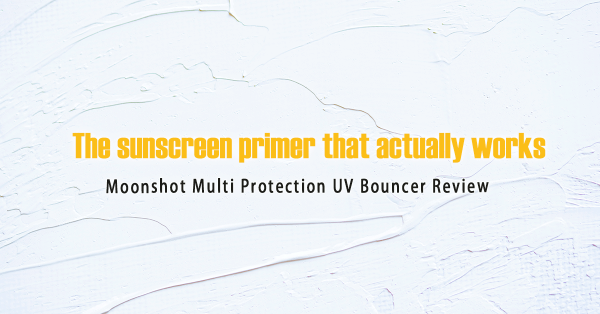 PA is a system that measures the sunscreen’s protection against UVA or Protection Grade of UVA. It is based on the persistent pigment darkening (PDD) method, which is a measure of skin tanning. PA+ corresponds to a UVA protection factor of 2~4, PA++ 4~8 and PA+++ more than 8. Since 2013, PA++++ was introduced to correspond with a PPD rating of 16 or above. In summary, SPF is a measure of protection against sunburn whereas PA is a measure of protection against tanning. Sunscreen protects the skin through the use of UV filters. Physical filters reflect the UV rays, whereas chemical filters absorb the UV rays and turn them into heat. Heated skin is more prone to have reactions, producing more sebums and more sensitising. That’s why some people with sensitive skins could only tolerate physical sunscreens. The downside of physical sunscreens is their texture. They’re the typical sunscreens that no one likes. They’re thick, gloopy, difficult to spread and leaves a greasy white cast afterwards. On the other hand, chemical sunscreens are much thinner and easier to work with. As a result, brands are constantly developing formulas to improve the texture of physical sunscreens and that’s where nanoparticles of Zinc Oxide and Titanium Dioxide comes in. By making their particles smaller, they become less gloopy and pigmented. However, there have been concerns about nanoparticles of these compounds to be absorbed into the skin and cause health risks. 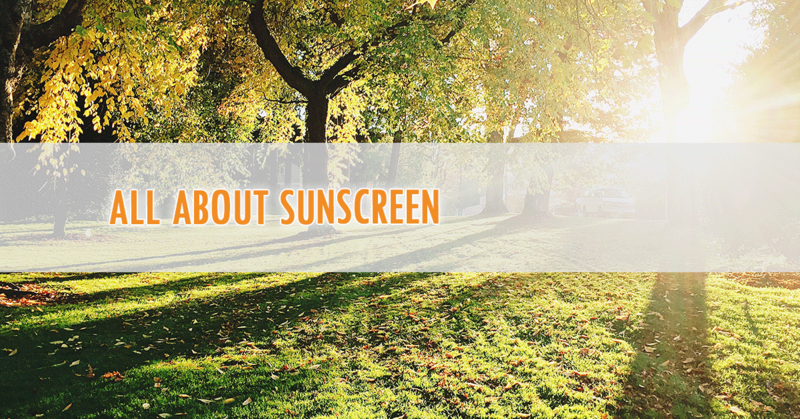 Two major physical filters used in sunscreen are Zinc Oxide and Titanium Dioxide. Both are photostable and low irritating to the skin. Zinc Oxide reflects a broader spectrum of UV rays than Titanium Dioxide. Most chemical filters are stable, but some are not. Stable chemical filters include Tinosorb S (Bis-ethyl-hexyloxyphenol methoxyphenyl triazine), Tinosorb M (Methylene bis-benzotriazolyl tetramethylbutyl-phenol) and Octinoxate (Ethylhexyl methoxycinnamate). I hope this has answered some of the common questions and algorithms about sunscreen. If you have more questions, feel free to leave below for discussion. This entry was posted in Skincare and tagged scientific facts, sunscreen.